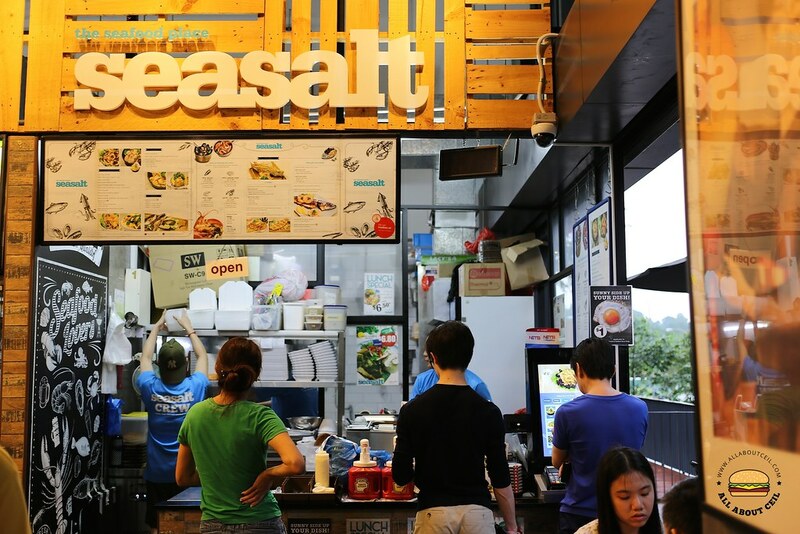 Seasalt - the Seafood Place started on 8 December 2013 and they used to be at Salute, a hipster coffee shop in Jalan Bukit Merah before moving to the current location about a year ago. They are located just a stone's throw from Marymount MRT station. 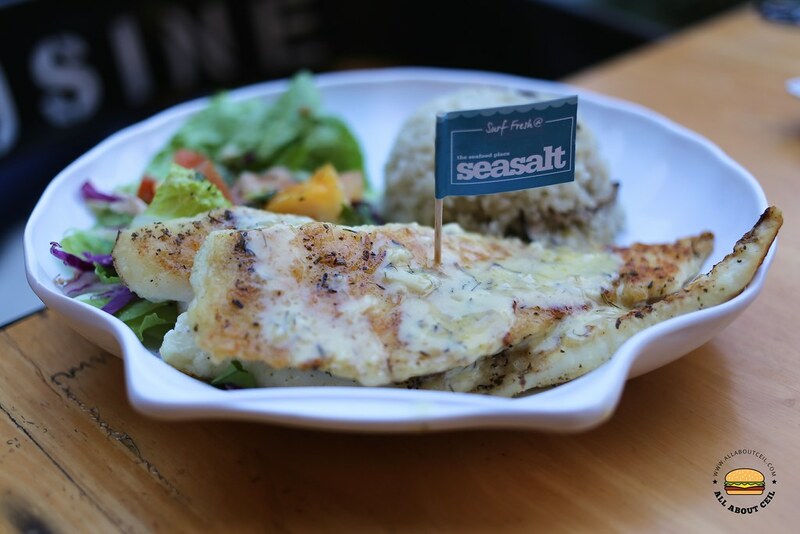 They aim to serve fresh and simple seafood with a touch of salty love as mentioned on their website. There is an ordering kiosk at the left of the stall, you are expected to order by selecting the items listed via touch screen and make payment using NETS. For starters, I decided to order the fried calamari with marinara sauce ($8) that is listed as one of their recommended options on their menu. There is also a grilled calamari Cajun style ($8) as well. There are other interesting items on the menu like grilled mushroom salad ($5), fried country mushroom with cheese and lemon butter ($6), fried white baits ($6) and fried crispy crab bites with sambal ($6). The must-try has to be their hand battered fish served with fries and green. First, you have to select the type of fish followed by the type of sauce. There are a few choices of fish, like the dory (soft and moist texture) at $9, snapper (flaky and moist texture) at $13 and premium haddock (cold water fish with flaky texture) at $13. As for the sauces, the choices include their signature lemon butter ($1), nacho cheese ($2), wasabi mayo ($2) and creamy salted egg ($3). I decided to go with premium haddock as this was the first time that I came across this fish and wanted it to go with their signature lemon butter. There is also a grilled and baked section and you have only the option of choosing either dory or snapper. I opted for the grilled snapper together with their signature lemon butter sauce. I picked up a pager from the counter and scanned it before proceeding with the payment using NETS. I waited for about 15 minutes before the pager buzzed. I went to the counter, collected the 2 main dishes and was told to hold on to the pager as the calamari is not ready yet. It buzzed again in a few minutes, and I went back to pick up the starter. I realized that it did not come with any sauce and so, I went back to the counter again. I was told to wait for a bit while they checked the order. The staff apologized and offered to send the sauce over to our table when is ready. 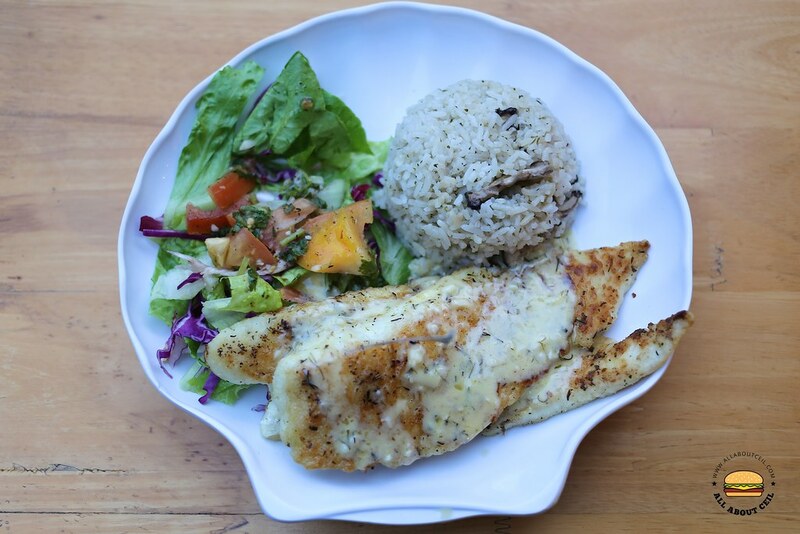 The grilled snapper was a good choice, the fillet came in 2 pieces and was lightly seasoned so as not to overwhelm the flavor and also, to bring out its natural taste. It was served with a pile of rice that consists of sliced mushroom, it tasted rather healthy with a slight taste of coriander. The deep-fried premium haddock came in 2 pieces, lightly drizzled with the signature lemon butter sauce and served along with fries and green. It was lightly battered and perfectly fried to a desired crispiness but still retained its moistness within. Ernest explained that a lighter batter is used so that their customers will taste more fish in each bite and not having to eat a thick coat of batter just to get to the fish. My only gripe is more lemon better sauce should be provided as it complemented the fish rather well. I totally enjoyed the fried calamari, it was lightly battered and fried to perfection without compromising its texture. It tasted so fresh and tender, this was amongst the best that I have ever eaten. I would rather eat it on its own and without the accompanying marinara sauce which did not have much effect in enhancing the taste further. 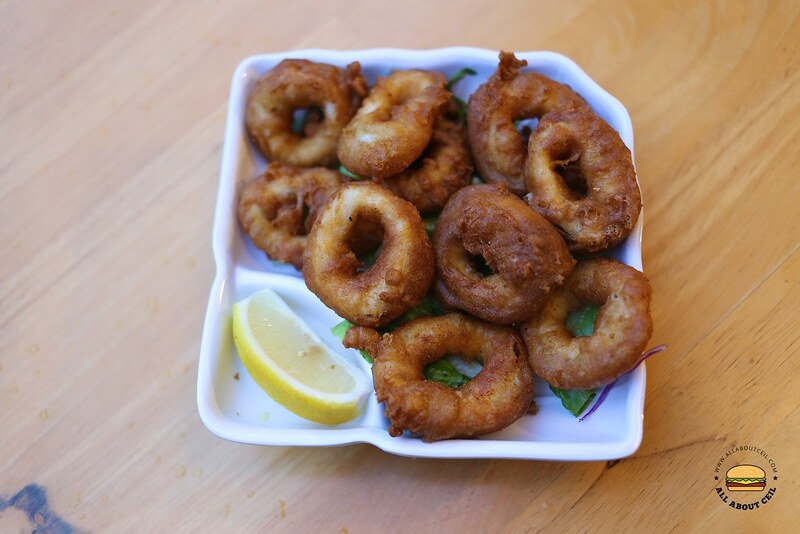 Ernest, the owner, mentioned that they started with frozen squid rings but the texture was too rubbery and does not meet the required standard. They then started to experiment with fresh squid and have been using it since then. Ernest came over to ask, "How's the food?". I pointed at the empty plate and said, "This is really nice." He asked, "What type of fish did you order?" I replied, "Haddock." He said, "Usually those that know how to eat fish will go for it." He mentioned that their customers compared their fish & chips with the one by Greenwood Fish Market & Bistro and rated it of the same standard. And, some of these customers traveled all the way from other parts of Singapore just to eat it every week. To maintain its freshness and quality, only limited portions of certain popular fish choices are served daily as serving it fresh and simple is always their philosophy. 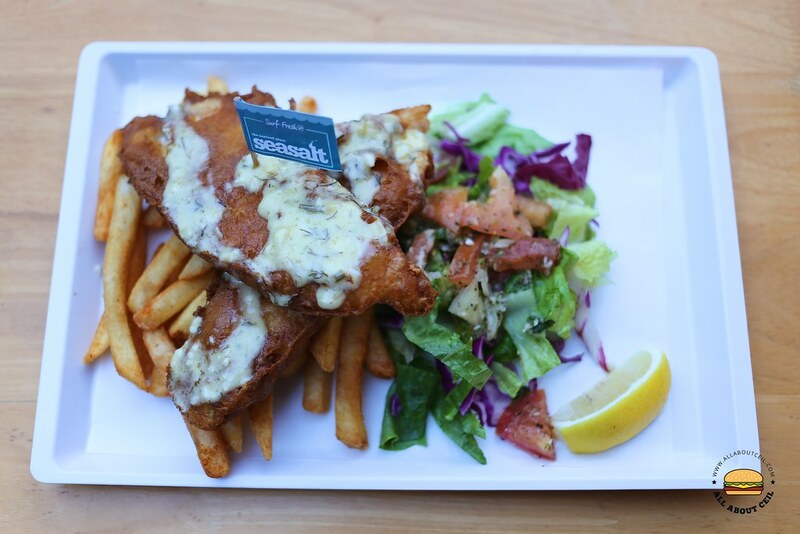 If you are a fan of fish & chips, you will have to give this place a try as they serve one of the better fish & chips in Singapore. 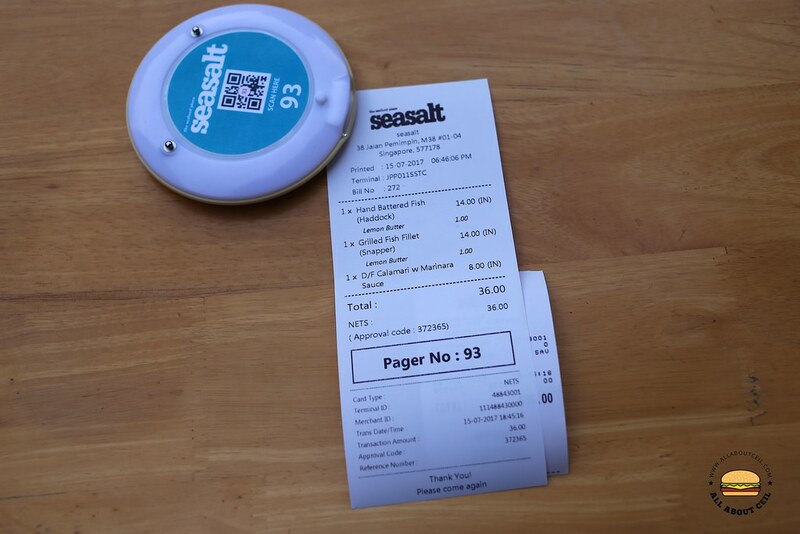 Thank you for checking in seasalt and doing a review for seasalt the seafoodplace.it helps us alot and great to see you guys again.